Rendering of remodeled Navigator of the Seas. 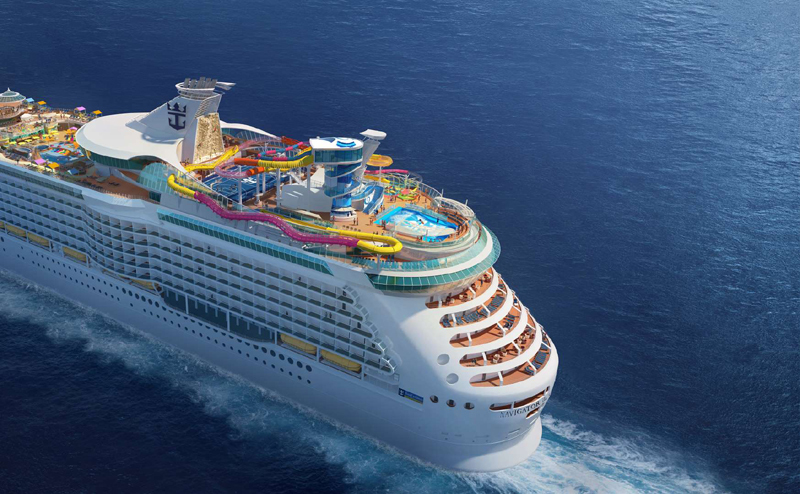 Royal Caribbean's Navigator of the Seas ship is getting a $115 million makeover. When it re-launches from Miami in February 2019, Navigato will feature two new water slides, several new restaurants and the industry's first blow-dry bar at sea. In May, Navigator will be the first ship to sail to Royal Caribbean's newly revitalized Bahamian island, Perfect Day at CocoCay. "Each Royal Caribbean ship brings a new adventure uniquely designed to deliver on our guests' preferences from A to Z," Michael Bayley, President and CEO of Royal Caribbean International, said in a statement. "Every detail matters, and we've mapped out an unmatched combination of innovative features and experiences for this top-to-bottom transformation." The new amenities cater to families looking for adventure and relaxation. 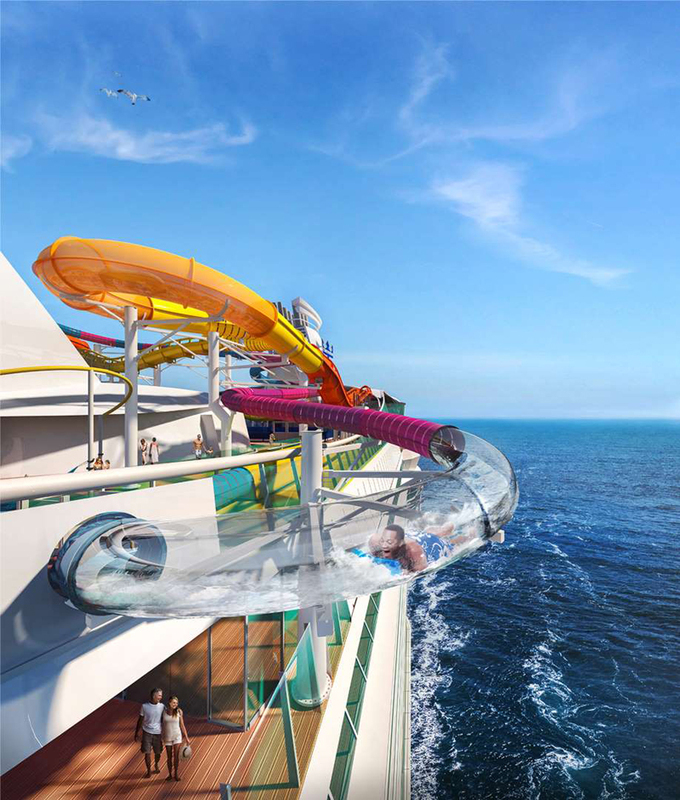 One of Navigator's new water slides, The Blaster, will be the longest water slide at sea, according to Royal Caribbean. The other, Riptide, is a headfirst plunge in a see-through tube. Gamers can choose from the new glow-in-the-dark laser tag and the new Royal Escape Room: The Observatorium on board, where people locked in a room together try to solve puzzles before the time runs out. To Dry For, the first dry bar at sea, will offer blowouts, hairstyling and polish changes while guests enjoy wine or champagne. New restaurants, cafes and bars include Starbucks and The Bamboo Room, a Polynesian-themed cocktail bar first debuted on mariner of the Seas. Rendering of new slide Riptide on remodeled Navigator of the Seas. When Navigator launches from Miami in February, the ship will sail a series of five- and nine-night cruises to the Caribbean. Then in May the ship will begin three-night weekend and four-night weekday sailings to The Bahamas, becoming the first ship to visit Royal Caribbean's private island after its $200 million renovation. Originally launched in 2002, Navigator of the Seas holds 3,686 passengers at double occupancy. The ship's makeover is part of Royal Caribbean's $1 billion push to modernize 10 ships in four years.